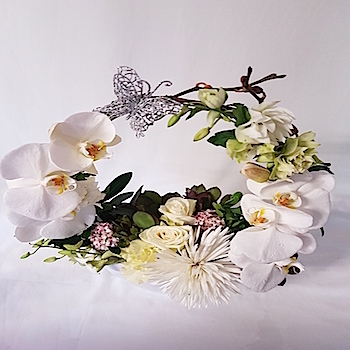 OR23 Phalaenopsis Orchid Flower Arrangement. 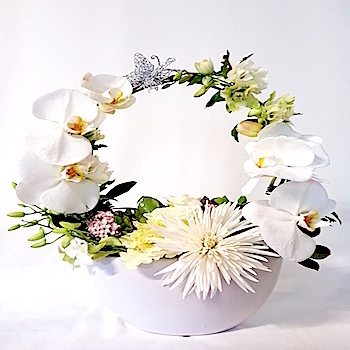 Sweeping display of 2 Phalaenopsis Orchid Flower Stems with seasonal flowers mix in a boat shaped ceramic vase. Small – 1 Stems of Phalaenopsis in a bouquet with green foliages. 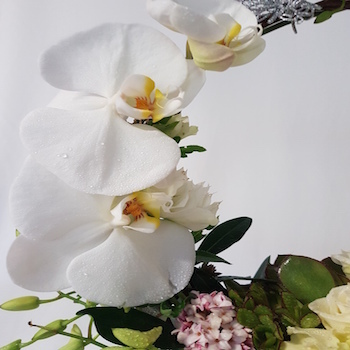 Large – 2 Stems of Phalaenopsis arranged with seasonal flowers and green foliages As Pictured. 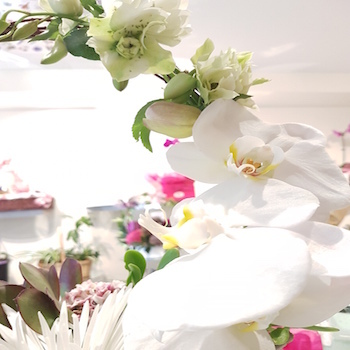 Impressive As Pictured – 3 Stems of Phalaenopsis arranged with seasonal flowers and green foliages.